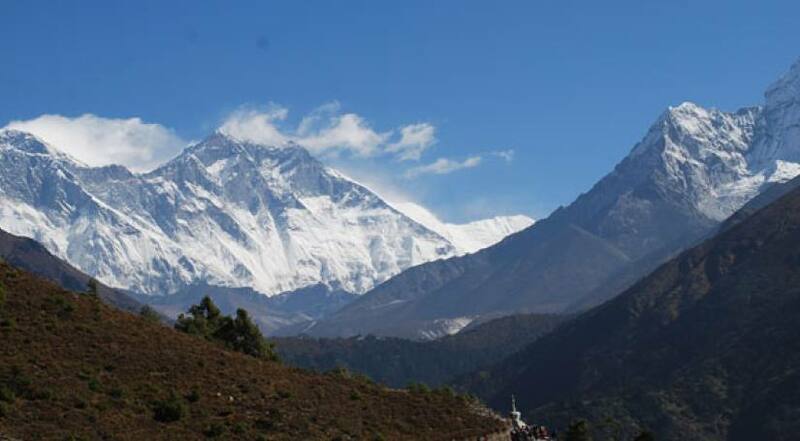 The Everest area, known locally as Sagarmatha National Park, is home to some of the worlds highest peaks as well as the famous Sherpas, migrants from eastern Tibet who crossed over the Himalaya and settled here sometime in the late 1400s or early 1500s. This trek is one that goes deep into the heart of the Himalaya. The mountain views are stunning, and the simplicity and hospitality of the Sherpa community are heartwarming. You will get to take in the awe-inspiring views of Mt. Everest, the tallest of them all, Lhotse, Nuptse, Tobouche, Amadablam, Kusum Kangru, Thamserku and Kwangde peaks from Syangboche, which also has the highest airstrip in the world. You will also be visiting Sherpa villages and monasteries to gain insight into their culture and lifestyle from up close. Arrive at the airport in Kathmandu. Loben Expeditions representative will meet you outside the customs and immigration area and transfer you to your hotel. The afternoon is free to relax, recover from jet lag, or explore on your own. From Kathmandu, you will take a scenic flight to Lukla airstrip (2,850 m), the most popular gateway to Everest. From Lukla, trek to Monjo. Overnight at lodge. Trek to Namche Bazaar, the headquarters of the area. Overnight at lodge. Day hike to Syangboche (3800 m) for breathtaking all-round views of the Himalayan giants. After you have had your fill of the snow peaks, hike on to the Sherpa countryside villages of Khumjung and Khundu. You will take an early-morning flight to Kathmandu. You will spend a free day in Kathmandu followed by a celebration meal in the evening. Extension of a trip due to bad weather or health.